Impairment by substances other than alcohol. 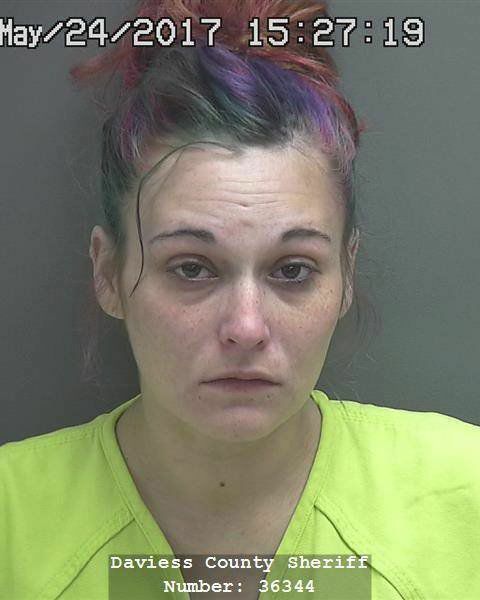 REEDSBURG, Wis. – A Reedsburg woman was arrested after a two-month drug investigation, according to a release from Reedsburg police.Police said they stopped and arrested Jessica L. Rogers, 31, after she made a heroin sale in Lake Delton. Officers also searched her home.Rogers was arrested on suspicion of possession of heroin, delivery of heroin, possession of marijuana, possession of drug paraphernalia, maintaining a drug trafficking place and operating while under the influence of a controlled substance. Marijuana is another problem for road safety. Fatal crashes involving drivers who recently used marijuana doubled in Washington State to 17% in 2014 from 8% in 2013 after the legalization of the drug there, according to a study released last year by the AAA Foundation for Traffic Safety. Legal limits for marijuana and driving are arbitrary and unsupported by science, “which could result in unsafe motorists going free and others being wrongfully convicted for impaired driving,” AAA spokeswoman Tamra Johnson said. Recreational sales of marijuana ballooned 80% to $1.8 billion in 2016, according to data from Marijuana Business Daily. Another recent survey by the NHTSA found that marijuana users are more likely to be involved in accidents, which may be due to the legalization of marijuana in many states, but that the increased risk may be due in part because they are more likely to be in groups at higher risk of crashes. “In particular, marijuana users are more likely to be young men — a group already at high risk,” the study found. While fatal traffic accidents have declined gradually over the last 10 to 15 years helped by stricter laws related to drunk driving and public safety awareness campaigns, it has crept back up over the last year amid other concerns related to texting while driving. The spike in fatalities involving drugged drivers is likely an indication of the wider problem. The rate of drug overdose deaths in the U.S. in 2015, adjusted for age, was more than 2.5 times the rate in 1999, according to recent data released by the Centers for Disease Control and Prevention, due to a fall in the price of heroin and accessibility to prescription drugs. The rate of drug overdose deaths increased to 16.3 per 100,000 in 2015 from 6.1 per 100,000 people in 1999, an average rise of 5.5% a year. The biggest spike in fatal drug overdoses took place among Generation X and baby boomers, the CDC concluded. Some states have created legal limits, also known as “per se limits,” which specify the maximum amount of active tetrahydrocannabinol or THC that drivers can have in their system based on a blood test. THC is the main chemical component in marijuana that can impair driver performance and affect the mind, and the presence of active THC is generally suggestive of recent marijuana use. These limits are similar in concept to the 0.08% blood alcohol limit for driving under the influence of alcohol. But DUIs do run the gamut from marijuana and alcohol to muscle relaxers and prescription pain killers, especially if it leads to impaired driving. DUIs laws for alcohol also vary by state. Arizona is one of the strictest states for DUIs and has the longest minimum jail term (10 days) for first-time offenders, a vehicle impound and a 90-day minimum jail time for a second offense; DUI is an automatic felony with a third offense and an ignition interlock device is mandatory after one DUI conviction. South Dakota is the least strict out of all 50 states, as it has no minimum sentence for either a first or second DUI; although a third DUI is considered a felony in that state, there is no administrative license suspension, no vehicle impound, no administrative license suspension and no mandatory ignition interlock device required. What began as a simple traffic stop early Wednesday morning in Washington wound up sending three people to jail on drug charges and the confiscation of a stash of heroin. Daviess County Sheriff’s Deputy Tyler Ramsey was on patrol Wednesday around 2 a.m when he pulled in behind a vehicle headed south on SR 57. When the car turned off SR 57, the deputy stopped the vehicle for failure to signal a turn. Ramsey said he got all three occupants out of the car and that during questioning, the driver appeared to be nervous. Ramsey said he got his K-9, Storm, to walk around the vehicle and the dog indicated that there were drugs present. During a search of the vehicle, officers located some digital scales. A search of a female passenger turned up heroin, a syringe and other items of paraphernalia. The driver of the car, Kenneth W. Taylor, 46, of Washington, was arrested for operating a motor vehicle while under the influence of a controlled substance, operating a vehicle while intoxicated involving endangerment, conspiracy to commit dealing in a narcotic and maintaining a common nuisance. Two passengers in the vehicle were also arrested. Thomas J. Hardcastle, 28, of Washington, was arrested on charges of conspiracy to commit dealing in a narcotic, possession of a narcotic drug, possession of paraphernalia, unlawful possession of a syringe and visiting a common nuisance. In addition, he was arrested on an outstanding warrant from Johnson County for failure to appear. Bethany Johnson, 27, of Washington, was arrested on charges of unlawful possession of a syringe, possession of paraphernalia, conspiracy to commit dealing in a narcotic, possession of a narcotic drug and visiting a common nuisance. Taylor, Hardcastle and Johnson were taken to the Daviess County Jail. Hardcastle is being held on $200,000 bond. Taylor and Johnson were being held on $100,000 bond each. Authorities report 4.6 grams of heroin were confiscated during the stop. “That’s a large amount of heroin for our area,” said Daviess County Chief Deputy Gary Allison. The 26-year-old man accused of plowing into pedestrians in New York’s Times Square, hitting and killing an 18-year-old woman and injuring 22 others, has been indicted by a grand jury, according to the New York County District Attorney’s Office. Richard Rojas was indicted Wednesday, though the charges will not be made public until his arraignment July 13 in Manhattan Supreme Court. His attorney could not immediately be reached for comment. Following the May 18 rampage, Rojas, a U.S. citizen and resident of the Bronx, was arrested on charges of second-degree murder and attempted murder. Police said Rojas was driving down Seventh Avenue in Manhattan when he made a sudden U-turn and started driving the wrong direction from 42nd to 45th Street “at a high rate of speed both on and off the sidewalk, striking numerous pedestrians,” according to the criminal complaint. Authorities said Alyssa Elsman, an 18-year-old tourist from Portage, Mich., was struck and killed, and that her 13-year-old sister was injured. People described the horror on social media, saying a car had driven onto a sidewalk in Times Square, mowed down pedestrians and crashed. Witnesses said the wounded were “laying on the sidewalks” and others were “screaming and running, the place is swarming with emergency vehicles and cops.” Those in the area were told to shelter in place while emergency crews swarmed the scene. The vehicle sat smoldering, eerily tilted on one side, at the corner of 45th Street. After Rojas crashed the vehicle, police said, he ran from the scene and said that he wanted to “kill them,” according to the court documents. Police said Rojas had glassy eyes, was unsteady and slurring his speech. Court records state that Rojas told police that he had been smoking marijuana laced with the mood-altering drug PCP. Preliminary tests showed that Rojas was indeed under the influence of PCP at the time of the incident, according to news reports. Rojas has a criminal history that includes two arrests for driving while intoxicated — once in 2008 and again in 2015, authorities said. He recently pleaded guilty to harassment after he was accused of pulling a kitchen knife on a notary at his home in the Bronx, according to the Associated Press. Prosecutors said he told the notary, “You’re trying to steal my identity,” according to the news agency. Rojas does not have to enter a plea on the charges of second-degree murder and attempted murder until his arraignment in Manhattan next month. Early Monday morning police found a vehicle stopped at the intersection of Hayway Road and Carriage Shop Rd for an extended period. Upon further investigation, the officer found the male operator passed out and slumped over the passenger seat. Field Sobriety Tests were administered after the officer woke up the operator. The tests indicated that the operator was impaired by narcotics and he was placed under arrest. The Falmouth Police log transcript identifies the suspect as Mitchell J. DeVincent, 25, of Hanover, MA. 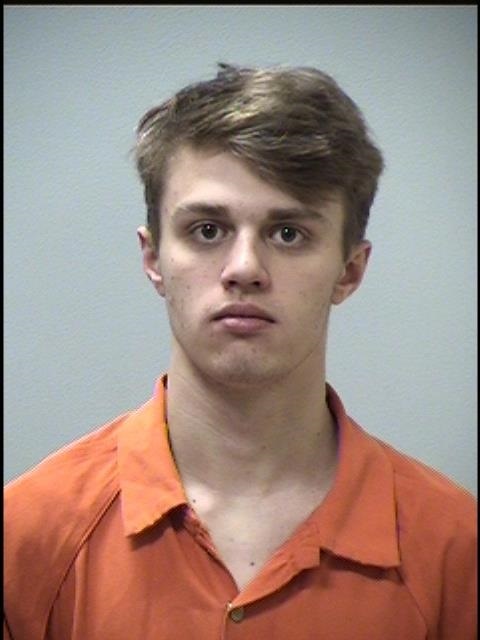 He was charged with operating under the influence of drugs, operating negligently to endanger, possession of a Class A substance, and possession of a Class B substance. Bail was set at $1040.00. Man accused of using heroin, causing Cortland crash with daughter in towNeal Cowfer, Jr. was indicted by a Trumbull County grand jury on multiple charges on Tuesday: Neal Cowfer, Jr., 28, charged with aggravated trafficking in drugs, trafficking in heroin, possession of heroin, aggravated possession of drugs, and operating a vehicle under the influence of alcohol or drugsCORTLAND, Ohio (WKBN) – A man accused of driving under the influence of heroin with his daughter in the car is set to appear in a Trumbull County courtroom later this month.Neal Cowfer, Jr., 28, was indicted on aggravated trafficking in drugs, trafficking in heroin, possession of heroin, aggravated possession of drugs and operating a vehicle under the influence of alcohol or drugs charges.The charges stem from a crash in Cortland on March 30.